Note: Before enabling required reviews on a branch, you must first set the branch up as a protected branch. 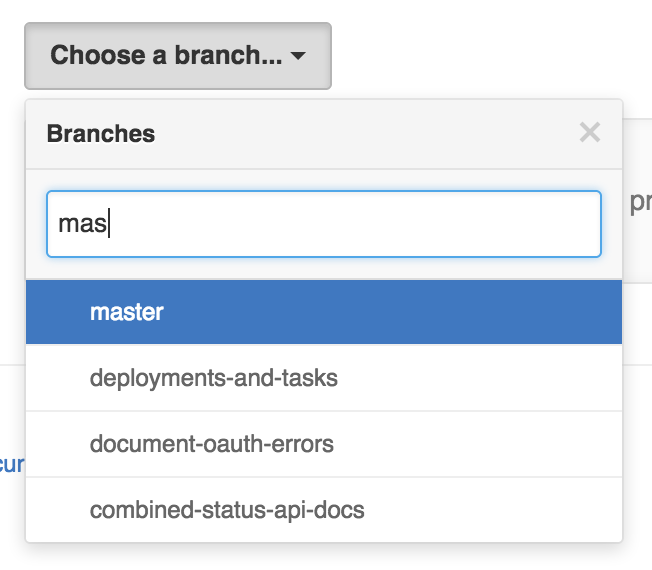 For more information, see "Configuring protected branches." 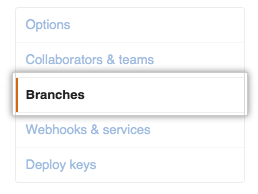 Under Protected Branches, select the branch you want to restrict using the drop-down menu. Select Require pull request reviews before merging. Optionally, select Dismiss stale pull request approvals when new commits are pushed. This dismisses a pull request approval review when a code-modifying commit is pushed to the branch. Optionally, select Require review from Code Owners to require review from a code owner when the pull request affects code that has a designated owner. For more information, see "About CODEOWNERS." 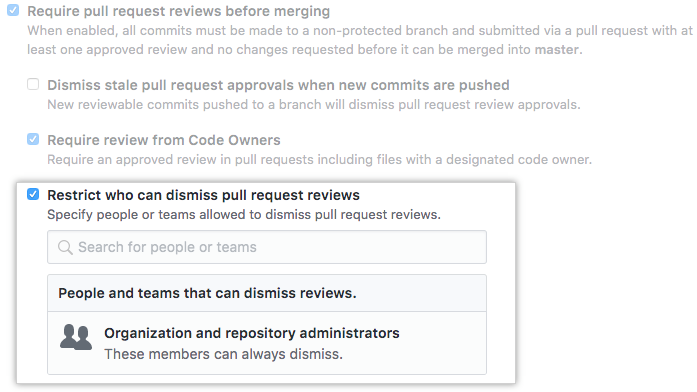 Optionally, if the repository is part of an organization, select Restrict who can dismiss pull request reviews to search for and select the people or teams who can dismiss pull request reviews. For more information, see "Dismissing a pull request review." This option is not available for personal repositories. "About required pull request reviews"